Biodiversity is the fifth theme of the programme. As with the previous themes, you will see that Biodiversity cross-cuts and integrates with the rest of the themes in many ways. We interact with and have an impact on living things, directly and indirectly every day through our lifestyles; e.g. the food we eat or how we manage our gardens. 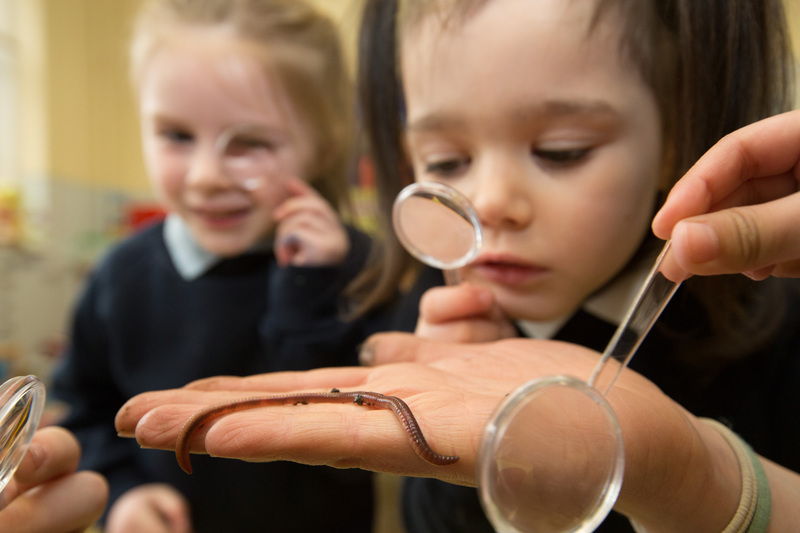 So whether your school is based in a city or in the country the Biodiversity theme hopes to connect you, your school and your wider community with the natural environment and cultivate a sense of wonder, appreciation and value for all the biodiversity around us. The overall aim of the Biodiversity theme is for schools to increase awareness of the importance of biodiversity and for students and staff to come up with ways to help biodiversity. This can be achieved through improving or preserving your local biodiversity whether it is in your school garden, at home, a green space in the city, your local beach, a river way etc. Schools will have the opportunity to play a vital role in promoting and preserving biodiversity both locally and globally. Non-Native, ‘Alien’ & Invasive Species: Alien species are also known as ‘non-native’ species. Tese are plants and animals that would not be found in Ireland without human involvement. Not all alien species in Ireland are able to survive and establish in the wild. Of those that do establish some can impact on our biodiversity and become invasive. The ability of a species to become invasive depends on a number of factors. These can include biological traits such as fast growth and reproduction. Invasive species often spread quickly or can move easily from place to place. Use the 7-Step structure to make your life easier on the Biodiversity Theme. Once you have set up your Green-Schools Committee (Step 1), your next step is to assess your starting point by conducting an Environmental Review (Step 2) (NB: be sure not to jump ahead and make any changes or take action in the school before you have established your starting point). The two main ways to measure your starting point are (1) Carry out Awareness Surveys with Students and Staff and (2) Create a Habitat Map of your School Grounds (see your handbook for instructions on these). Once you have measured what your school community know, and what species and habitats are present on your campus, you can start to think up ways to raise awareness about biodiversity, and also to encourage species-richness in and around your school. Once you come up with these ideas and actions, write them down as an Action Plan (Step 3). Your action plan should say what your targets are and how you are going to achieve them. It is important that you plan from the beginning how you will measure the success of your Biodiversity Action Plan. Monitoring and Evaluating (Step 4) improvements in your school can be done by repeating the Awareness Surveys. You may also choose to do other surveys, such as identification surveys of common bird, trees or flowers. You can investigate if physical enhancements to your school grounds made a difference to the diversity of plant and animal species by creating another Habitat Map after a given time period. Visit the NPWS website to learn about the various protected sites in Ireland and why they are so important. Primary schools in Ireland undertaking the Green-Schools Biodiversity theme can take part in the Great Plant Hunt, a joint initiative of Toyota Motor Europe and the Foundation for Environmental Education (FEE). The initiative focuses on getting younger students interested in biodiversity with a particular emphasis on native plants and native animals. The campaign was officially launched November 2015. In Year One, it was being run in ten countries throughout Europe, including Ireland. In Year Two, which started in September 2016, the number of countries increased to 15. The campaign includes educational aspects, based on the FEE Educational Principles, and practical activities based on resources developed by the Royal Botanic Gardens, Kew with funding from the Welcome Trust. More information on participating in The Great Plant Hunt can be found on TGPH 2018 Information new schools. The campaign aims to educate students about biodiversity, its importance and encourage them to take positive action. Click here to read project stories and see what participating countries, including Irish schools, are up to! Click here to register for the 2018 The Great Plant Hunt. In 2011, An Taisce decided to celebrate the success of the Green-Schools programme in Ireland and International Year of the Forests by planting a Green-Schools Woodland. The Woodland was planted on November 17th 2011 at Ballinreeshig Nature Farm, Co. Cork in conjunction with Will and Away Outdoor Education Company. In total, 3,560 native trees were planted to represent all schools in Ireland that were awarded the prestigious Green Flag award since it began in 1997, until 2011. The Green-Schools Woodland provides a place for schools to visit and learn about the importance of biodiversity with a particular focus on forests. View photos and news from the Green-Schools Woodland here.